These quick & pretty little flowers can help you get there! 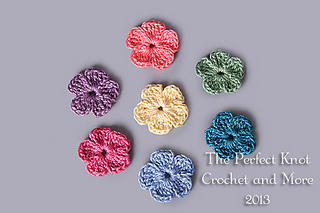 Perfect for adding a pop of color or a cute little embellishment to your favorite projects! They literally work up in less than 5 mins & can be made using any thread or yarn & any hook size you choose! 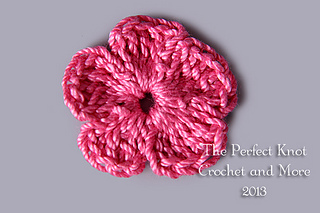 Enjoy your new pattern & thank you for stopping by The Perfect Knot Crochet and More!